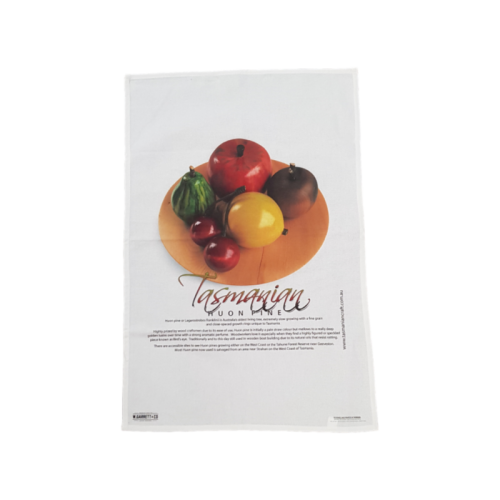 Printed on lovely soft quality fabric this tea towel is designed in Tasmania and exclusive to Tasmanian Craft. Featuring a little about Tasmania's unique Huon pine story. Makes a great gift to send interstate or overseas.